Every year I have the, “that’s it, we’re moving south” conversation with hubby around this time. It doesn’t help that this week we’ve hit incredible lows here in Philly – not only has it been colder this week than it has in over two years here, but one friend in Twitter told me that we’ve been colder than ALASKA this week. Alaska, people! Where there’s eskimos and penguins! And humpback whales stuck in the ice!!!! That’s pretty damn cold! Okay so as you can tell, the weather tends to send me into a frenzy as I really do hate the cold. (It doesn’t help that I have Raynaud’s Disease.) So for this week’s Fashion Friday, I’m thinking warm. For starters, I have to give credit where credit is due – my amazing Lands End coat that I got in November of 2010, the Luxe Down Parka Coat. This thing is crazy warm. In fact, I don’t wear it on some winter days just because it is so warm. But this week it’s been incredible. Getting in and out of the car at the bus stop in 9 degree weather, while wearing this coat, I have NOT BEEN COLD. 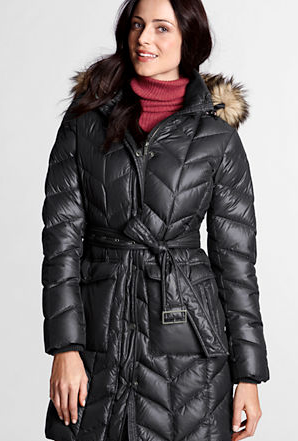 They don’t have the exact model I have anymore on the site but VERY similar is this Women’s Cire Down Coat which is on sale for $84.99 (from $179.99) PLUS they have 25% off everything at Lands End right now with coupon code CHILL and pin 2528. My neighbor actually got it in this black pictured and it looks great on her. And it’s a steal at the price. 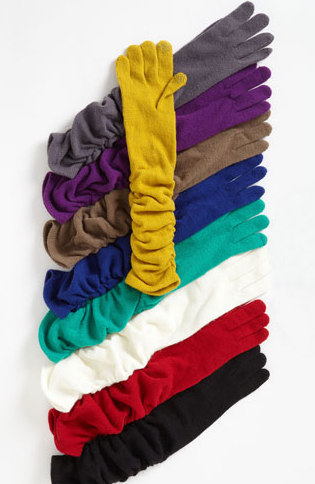 Stay warm and stock up with one of these! I don’t go anywhere without a scarf of some sort these days. It’s amazing how much a little neck coverage can do to protect you from the elements. How about this one from the Gap? 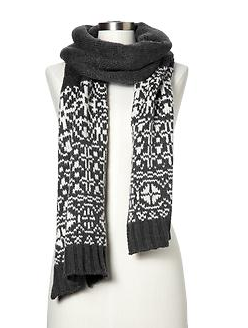 Reverse Fair Isle Scarf, on sale for $31.99 at the Gap. 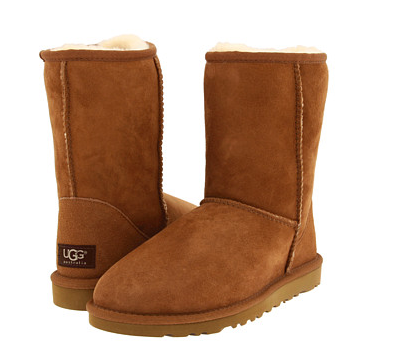 Plus use coupon code GAPTREAT today only for 25% off your order. Disclaimer: I am an InStyle Ambassador. As always, all thoughts and opinions are my own. « Free Workouts from SportSkool: For When You Can’t Leave the House. No Excuses!